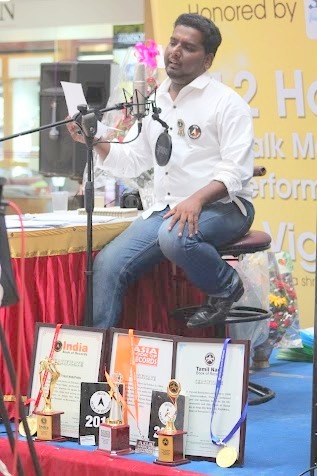 R. Vignesh Kanth (born on October 2, 1989) of Tamil Nadu, India, performed longest talk marathon about an individual, wherein he spoke for most time(12 hours) about life, films and acting career of prominent personality ‘Kamal Hasan’, from 10:07 am to 10:07 pm, at Ampa Sky Walk Mall, Aminjikarai, Chennai, on November 7, 2014. 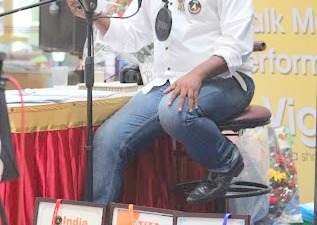 The entire event live streamed in www.smilewebradio.com. Comments for LONGEST TALK MARATHON are now closed.